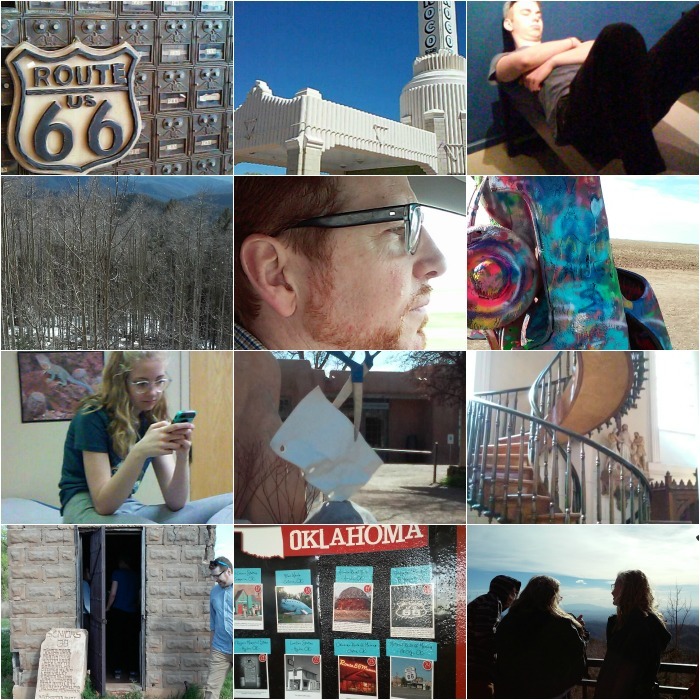 For Spring Break we took a road trip highlighting interesting spots along Route 66. My husband loves planning this stuff and is crazy-good at finding deals and out-of-the-way treasures. We spray-painted cars at Cadillac Ranch, drooled through endless art galleries in Santa Fe, locked ourselves in an old timey one-cell jail, stuffed ourselves at Lucille's and The Big Texas Steakhouse, marveled at a mysterious staircase that baffles architects, photographed gorgeous snow-capped mountains and rested in fun places along the way like the Blue Swallow ~ cutest hotel I've ever seen! It was a much needed get-away and a fun adventure, but I'm happy to be back home now! If you'd like to follow me on snapchat, you can find me @dentoncatherine! You were in my neighborhood! I WAS?! Wish I'd known! It was beautiful.